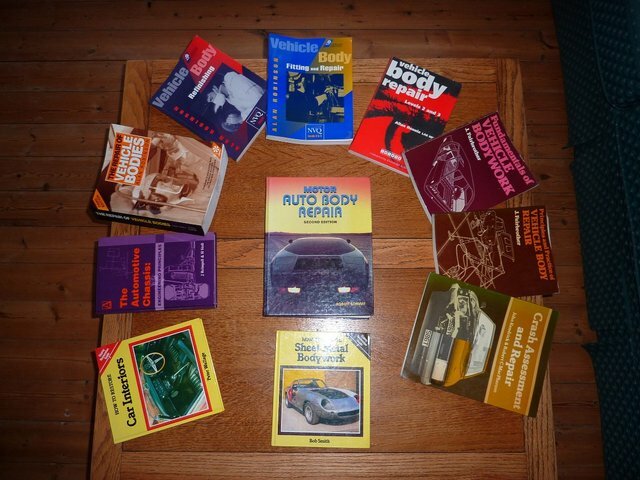 A large selection of Body Repair / Crash repair and refinishing technical manuals. Robinson, The Repair of Vehicle Bodies. J. Fairbrother, Fundamentals of Vehicle Bodywork.